This is an excellent game. Some of the other Mario games tend to get boring after a little bit, but not this one. It has the same old Mario character and the other characters are the same too. 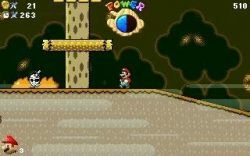 The differences in this game compared to the rest of the Mario games is what makes this game so good. 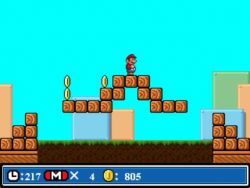 It has good graphics, a different, more mysterious backround, a jump high feature allowing Mario to be able to reach high up things, and some new songs and music. 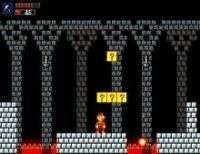 Another really cool feature is when you get to a new stage (or level), you can quit and go back into it a start off at that stage again, or you can play one of the previous stages that you have already beaten. 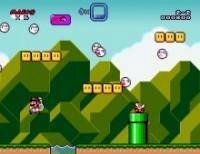 I highly recommend that you download this game, especially if you are a true Mario fan! This game, so far, is the closest to the original Mario games that I have played. Most characters were classic except for the ghost muppet and the deadly mushroom. What I really enjoyed with this game was beating the new bosses, especially on a time basis. After killing the final boss, a timed game shortcut to all the bosses would be enabled. 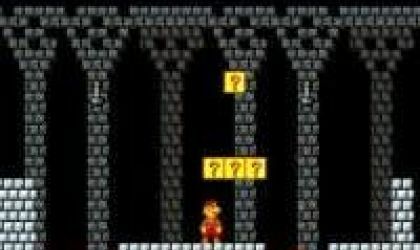 This time, however, you have to beat them without any weapons. This game is like a grown up version of Super Mario, it has the same feel as the real game and the begining has the same level layout and I like the dramatic mist of blood you spew out when you die and you get more weapons than the original. I play this game more than any other game (even the NES original) and I think everyone should download this amazingly perfect game. I can't seem to control him very well, because I'm used to games when Mario DOES NOT SLIDE. When he slides, I move in the opposite direction, and that may cost me my life in this game. I don't really like how there was so much blood and gore in this, but it was a Castlevania/Mario crossover. Whoever made it was INSANE. Well, this game does have some good points and some bad. The graphics are all right, but the bosses are too hard. I had to keep trying for a year before I beat this game. An extremely challenging game I dare say. But Mario does not run faster, and the boomerang is kind of slow. And why does it run in such a small window?